Home :: Books :: The Christian Life :: Christian Living :: BIBLE CAN WE TRUST IT? t was the first book to ever be printed. 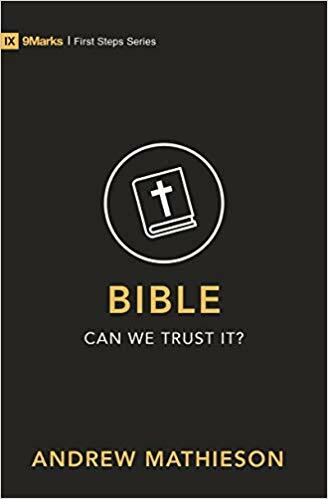 It remains one of the most popular of all time, with whole societies of people professing to live their lives according to its pages – but can the Bible actually be trusted? Does it have any substance or is it just some nice ideas? Isn’t it full of contradictions, and can it really have anything to say in the 21st century? The fourth title of the First Steps series by 9Marks explores these questions and more, showing that the Bible is not only still relevant, it is powerful!